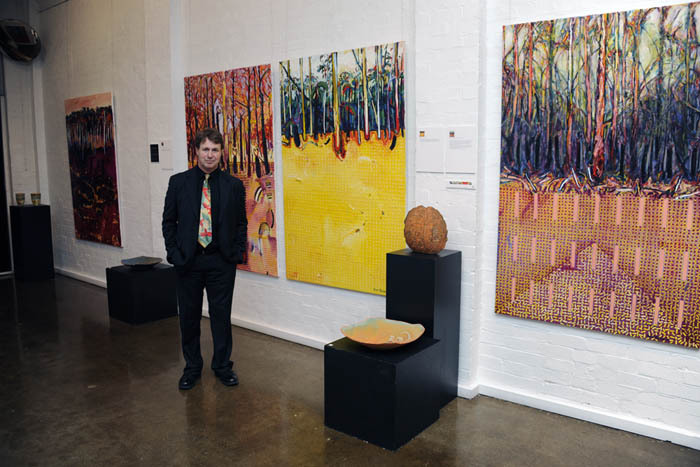 In 2003, artist Peter Biram had the original concept of Environmental Expressionism, and then fellow artists, Kerrie Warren, Leonie Ryan, Werner and Ursula Theinert also embraced the concept as they shared similar visions and philosophies. 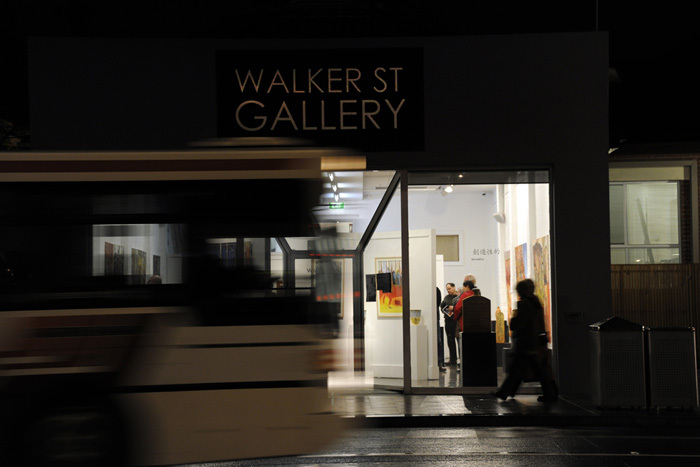 In 2008 the group formalized their belief in this new art movement. ENVIRONMENTAL EXPRESSIONISM was formed to attract likeminded artists, who feel a need to focus their art into creating a greater awareness of the immense challenges of our current and future environmental concerns, to help stimulate discussion and deeper understanding of these complex issues. The formalization of this new art movement required a detailed manifesto of beliefs and aims to help clarify the basis of the movement and to convey the strength of feeling that the mediums in the arts were needed to create and facilitate environmental awareness in the community. The 'Balance' in the natural world. 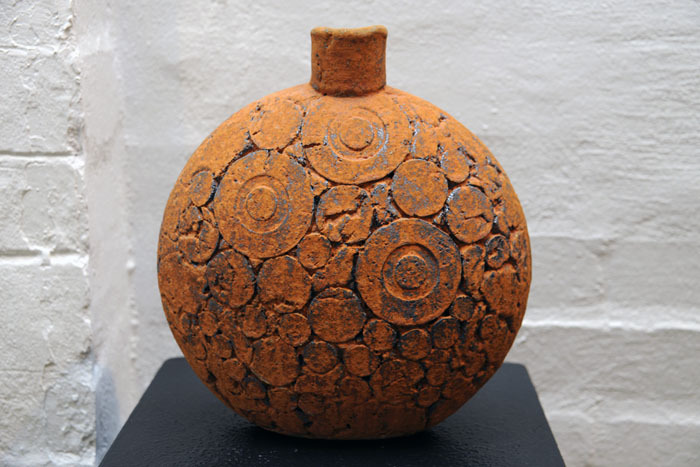 Within the definition of 'Environmental' the work should contain and convey the environment as a central core theme and thus 'tap' into the current or future concerns regarding environmental issues. Therefore, in turn, the work will be current and relevant to a particular time and place. As the conceptual content of the work plays a major role within the overall art work a strong narrative regarding said content should be paramount. The expressing of an idea/concept and thus creating and or encouraging dialogue. The mark making should convey a sense of the makers signature. In other words the artist's style should be present in the work. The work should be expressive in its own intrinsic right. 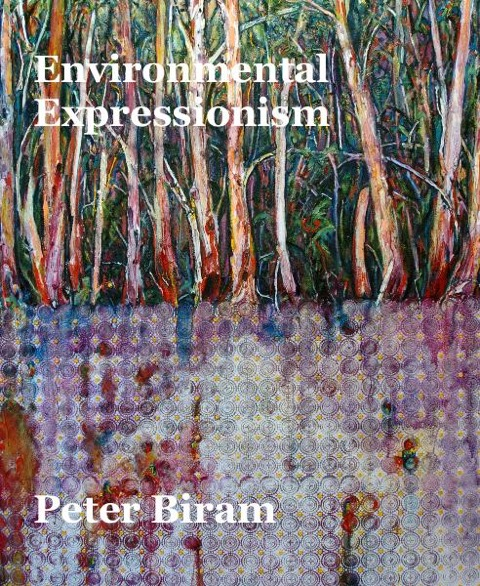 A beautiful book featuring selected works by Peter Biram. To preview the book and see price options please click here. 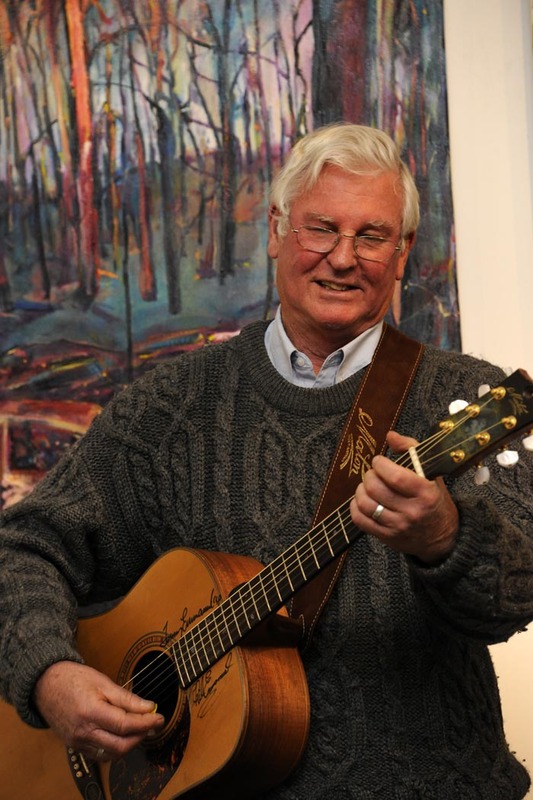 The talents of Painter Peter Biram and Ceramic Artist Chris Myers will come together at Walker Street Gallery this month. 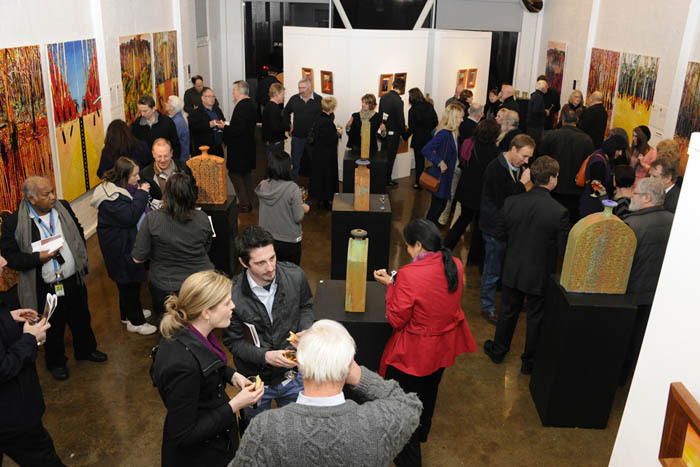 Their joint exhibition explores the environment and the human impact on it. Biram’s paintings are rich in colour and explore the tensions between the European notions of land ownership and the indigenous ideas of land. 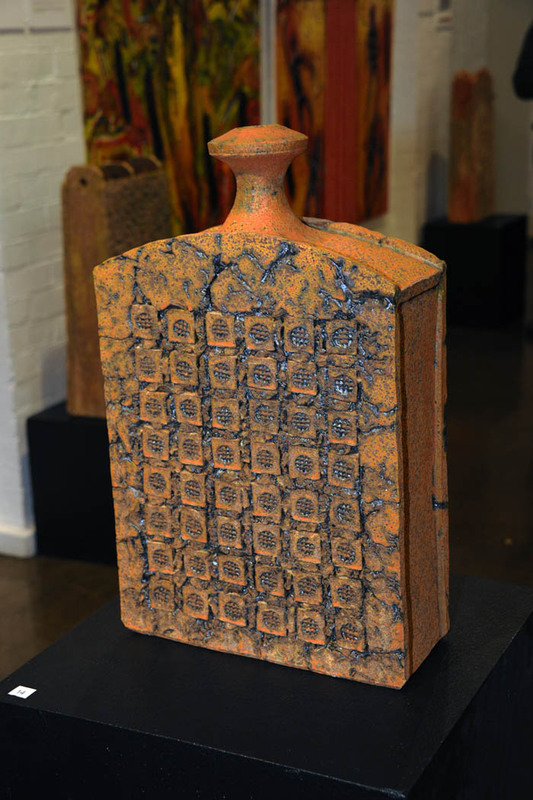 The ceramic works of Chris Myers reflect the textures and intense colours of the Australian landscape, particularly the more arid areas with their ochres, reds and yellows. The exhibition is free to enter and all are welcome to attend the exhibition launch. Peter Biram waiting for the Guests to arrive. 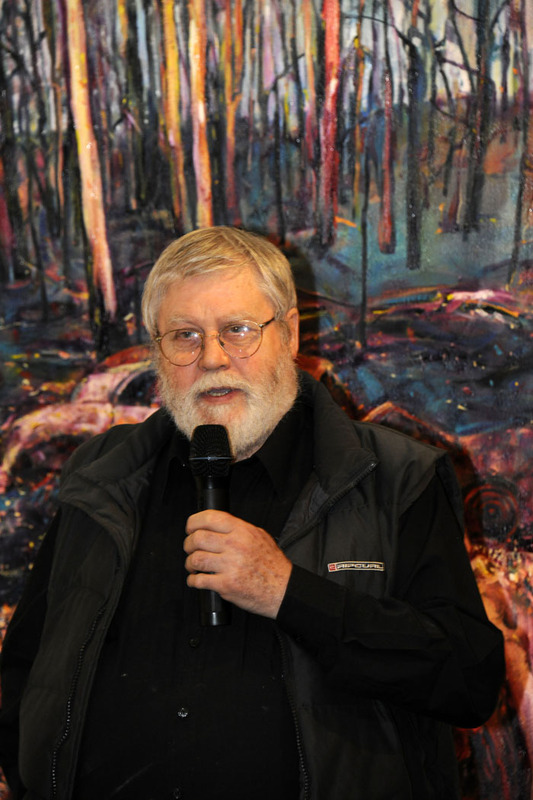 Jim Brown, Environmental Expressionist, presenting his poem about Black Saturday. 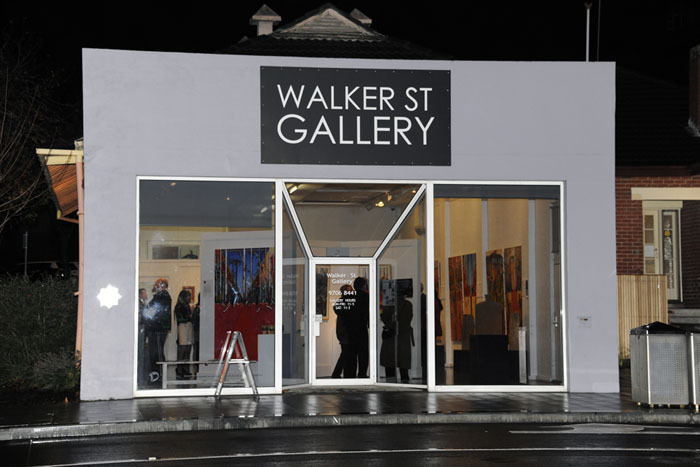 A great opening night turnout at Walker Street Gallery. 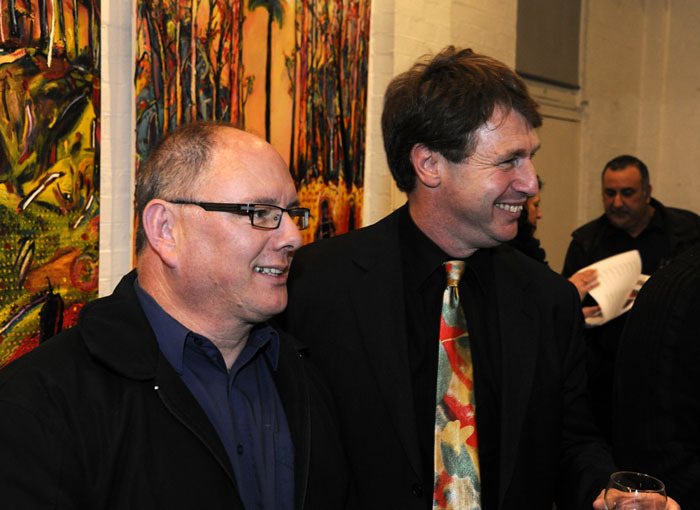 Steve Gray & Peter Biram enjoying the evening. 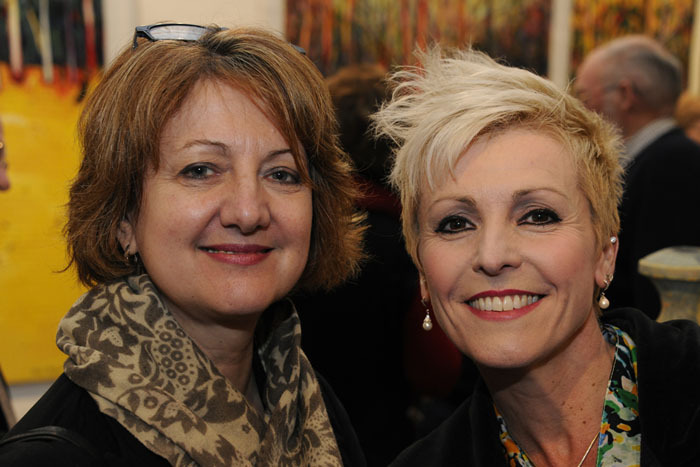 Ursula Theinert & Kerrie Warren both founding members of Environmental Expressionism. 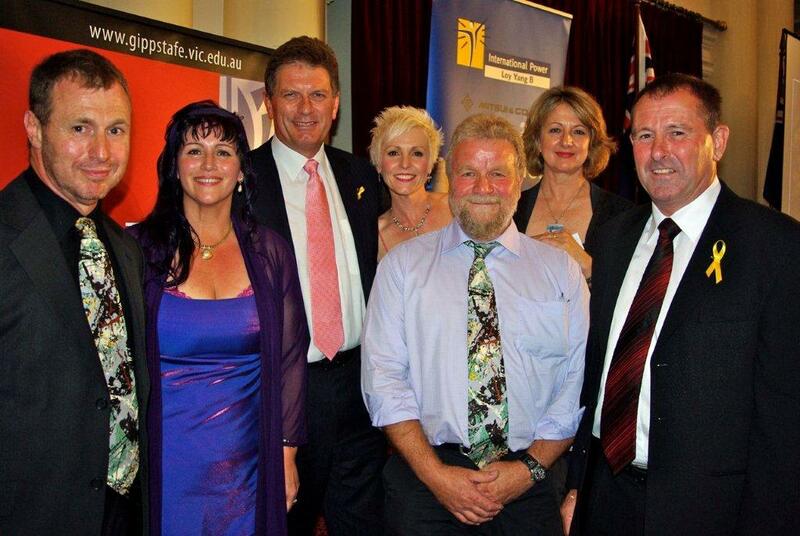 Artists with Ted Ballieu MLA and Gary Blackwood MLA. 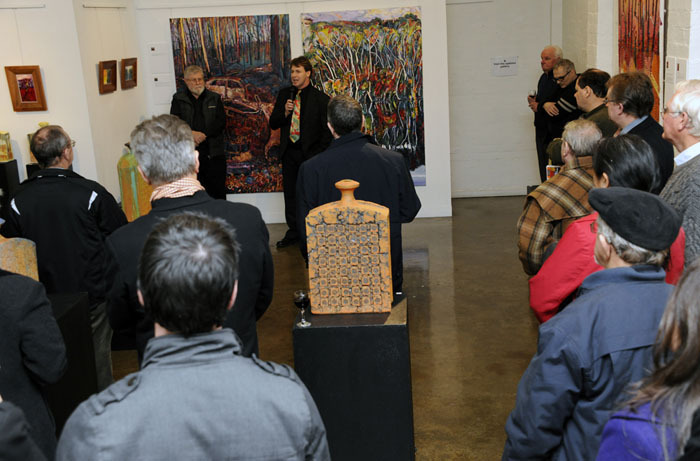 Peter Biram, Leonie Ryan, Ted Ballieu MLA, Kerrie Warren, Werner Theinert, Ursula Theinert and Gary Blackwood MP after the Launch of Environmental Expressionism.